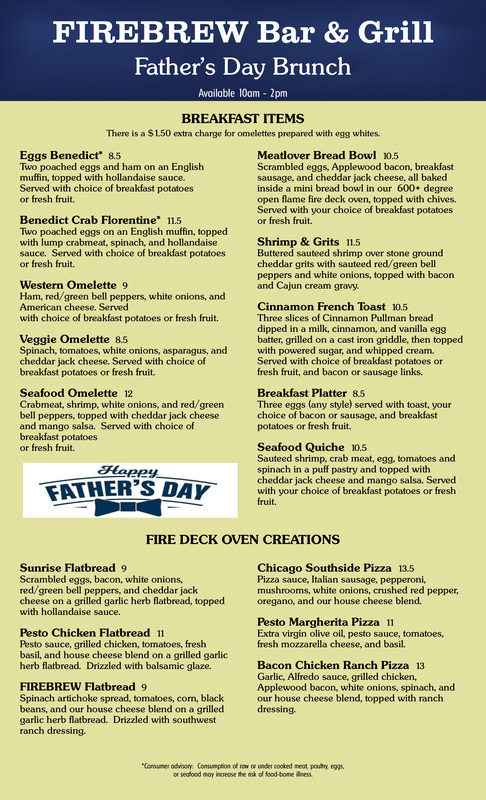 Please scroll down to view our Father’s Day Brunch Menu available Sunday June 17th (10am-2pm). 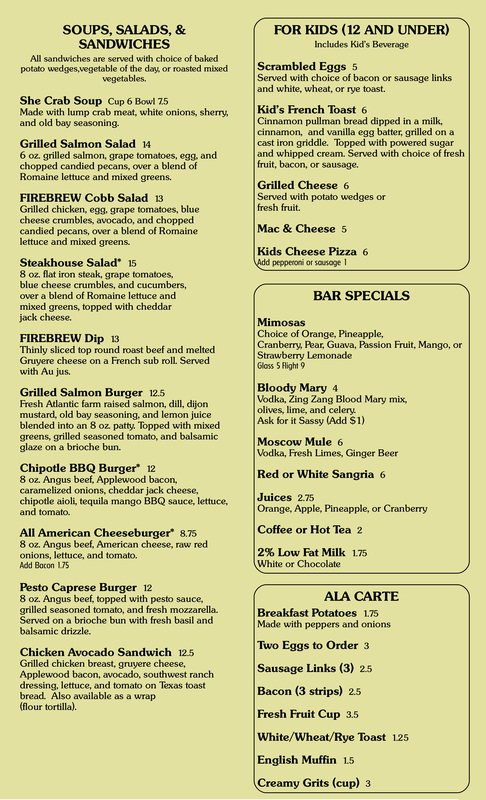 Regular menu is available after 2pm. A FIREBREW representative will contact you to confirm your reservation within 24 hours.